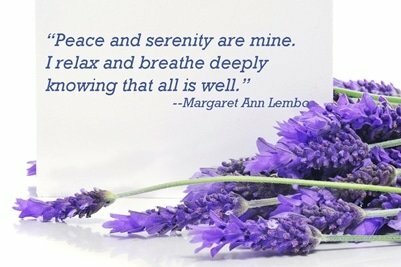 Lavender is a relaxant, soother and conditioner. It is known for its ability to ease headaches and stress. 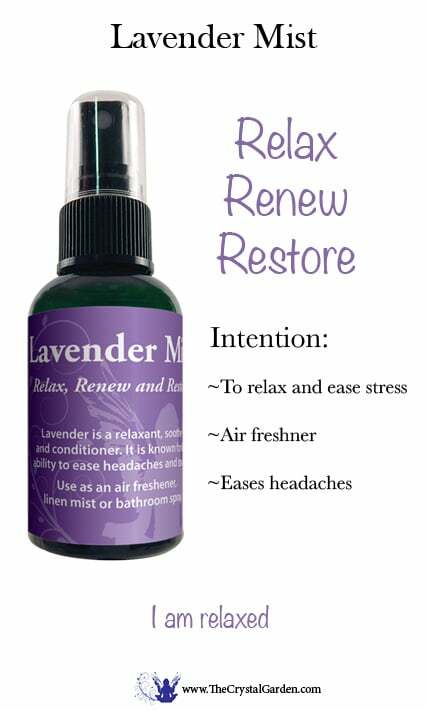 Use as an air freshener, linen mist or bathroom spray. Lavender is also available neat in a 5 ml bottle. Lavender is good as an antibiotic as well as an anti parasitic and is anti-venomous. It is useful for cuts, burns, insect bites, headaches, arthritis, anxiety, panic, it induces peace, dispels depression, and promotes sleep. 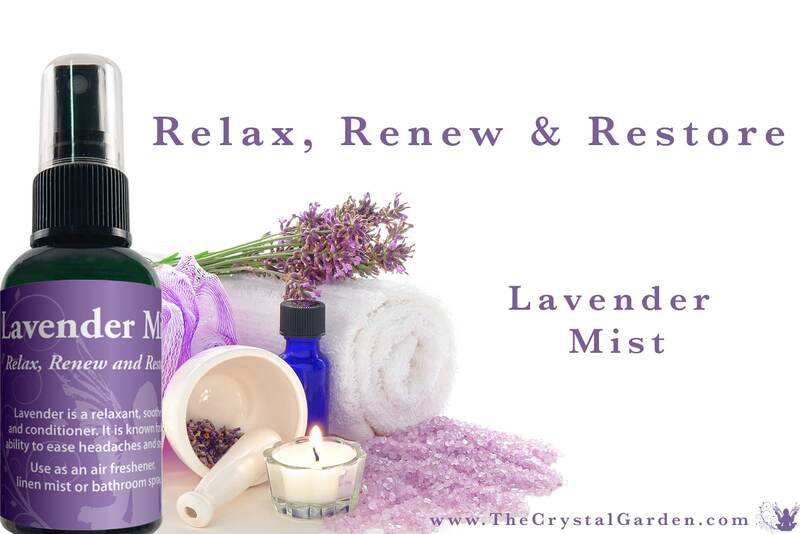 Lavender is a relaxant, soother and conditioner. It is known for its ability to ease headaches and stress. 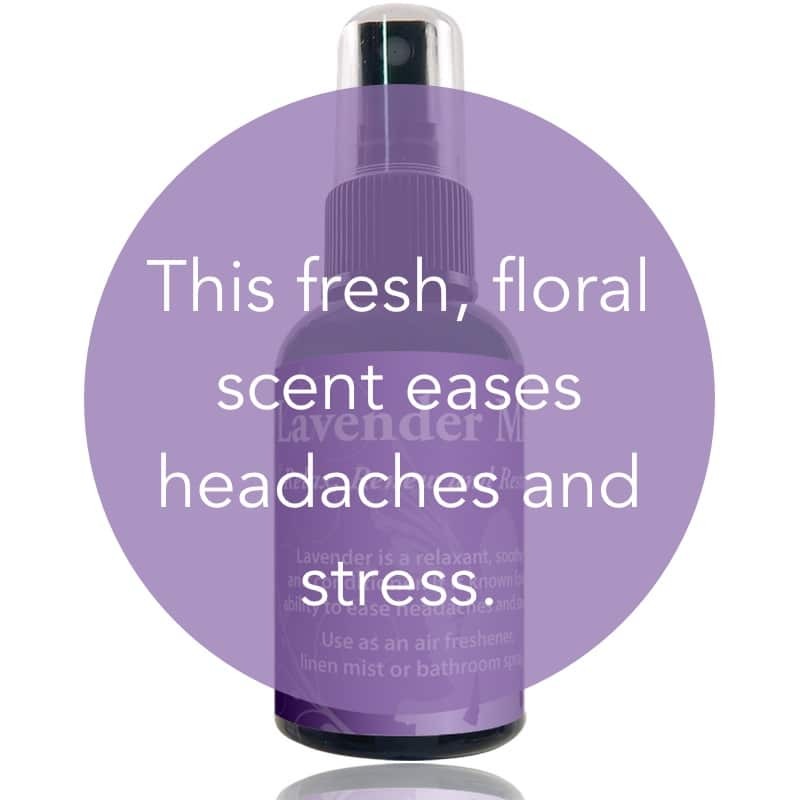 Use as an air freshener, linen mist or bathroom spray. This floral scent promotes sleep as it calms and relaxes. 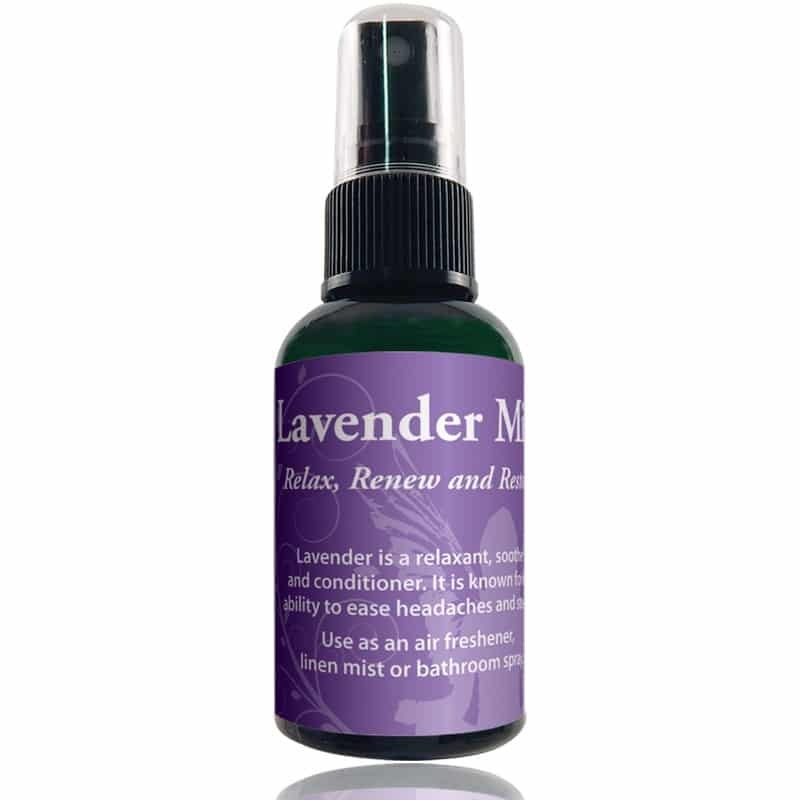 Lavender is also available neat in a 5 ml bottle. Ingredients: Water; Lavender Medical Grade Essential Oil.